August | 2013 | Cooking With Mr. C.
1. In a large skillet add 3 tbs. of olive oil. Add garlic and let brown. Add zucchini. Add a pinch of sea salt and pepper. Stir. 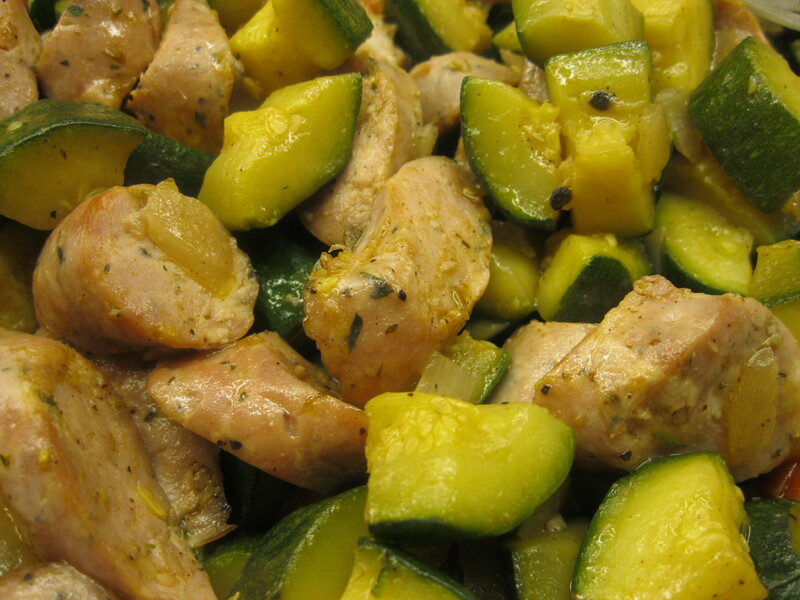 Cook for about 7-10 minutes until zucchini is tender. Remove from skillet. 2. In another skillet, add 1 tbs. of olive oil. Cook sausage for about 10 minutes. Sausage should be well cooked. Add zucchini and mix well. Add an additional tsp. of salt if needed. Stir together. Cook for an additional 2 minutes and serve. 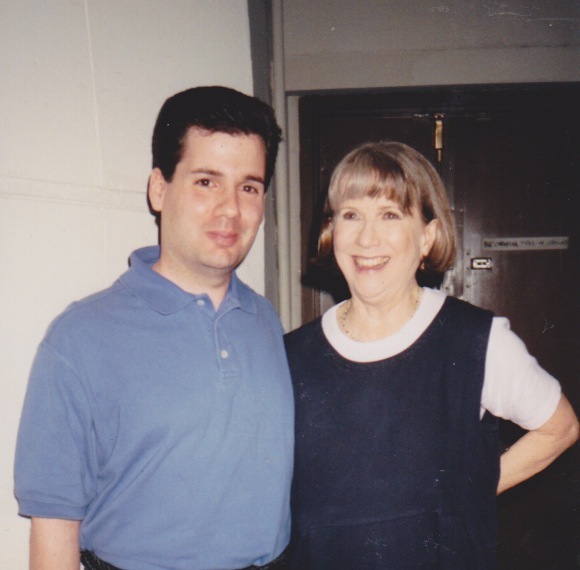 It was sad to hear today, that the wonderful Julie Harris passed away. I was part of Tony Randall’s National Actor’s Theatre and Ms. Harris often did plays for the company. She was a lovely lady. 1. In a large skillet, add olive oil. Cook snap peas until tender. (about 5 minutes) Add lemon juice and a pinch of sea salt and pepper. Stir frequently. Remove from pan and keep warm. 2. Using the same pan, cook sirloin steak. Season with a pinch of sea salt and black pepper on each side. Cook to your desired taste. 3. 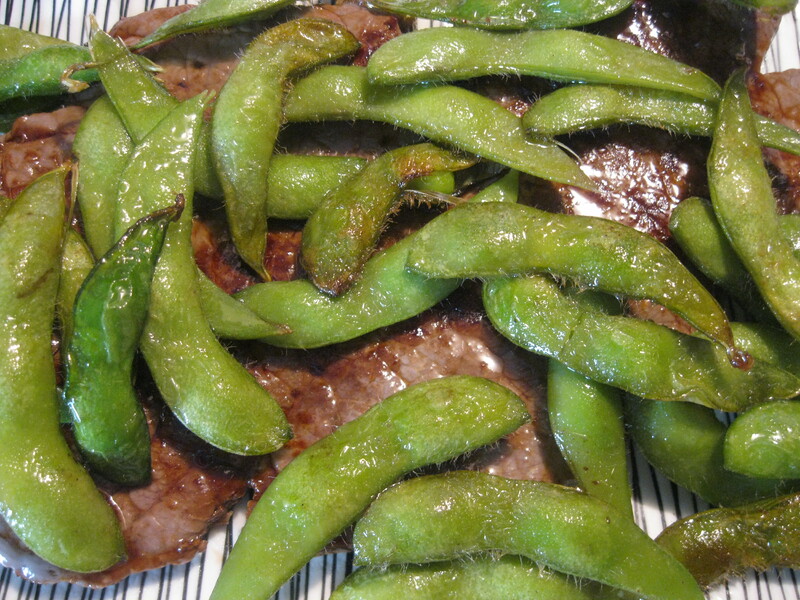 Put snap peas on top of sirloin steak and serve. 1. 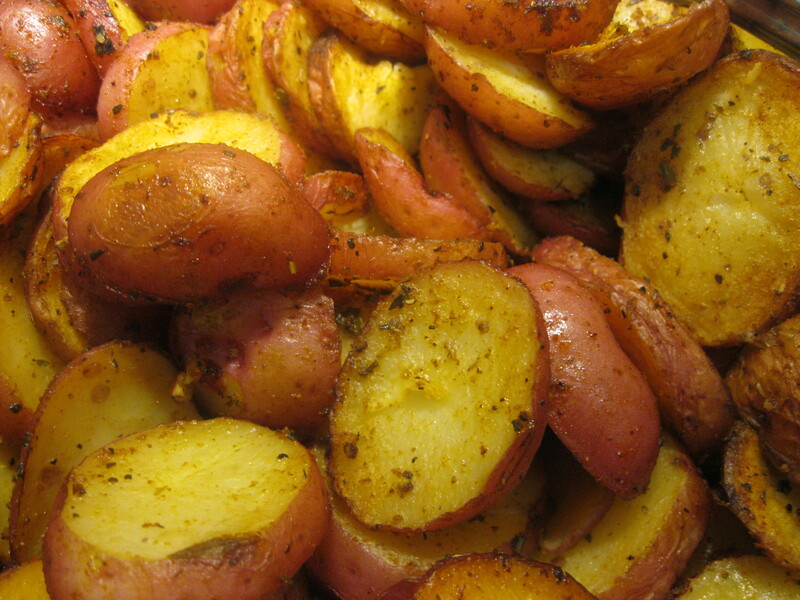 In a large ziploc bag, add potatoes, salt, pepper and olive oil. Shake bag well. 2. In a large baking pan, coat the bottom with a drizzle of olive oil. Add potatoes. Cover pan with aluminum foil and make slits on top. 3. Bake in oven for 30 minutes. Remove foil and bake for an additional 10 minutes. 1. Coat a baking pan with 2 tbs. olive oil. Place cod fish in pan. Bake for 15-18 minutes. Let cool and then chop. 3. In a large skillet, put 2 tbs. of olive oil. Cook burgers on each side for 4 minutes. Let dry on paper towels. Keep warm. 4. In the same skillet, add 1 tbs of olive oil. Add carrots and zucchini. Sprinkle with a little sea salt. Saute for 5 minutes. 1. Put all ingredients in a food processor and mix. Refrigerate when not using. 1. Peel and cut potatoes into cubes. Boil potatoes in boiling water for about 20 minutes. You should be able to pick up the potato with a fork when they’re done. Drain potatoes well. 2. In a bowl, add potatoes, mozzarella, grated cheese, butter, heavy cream and sea salt. With a mixer, mix well. 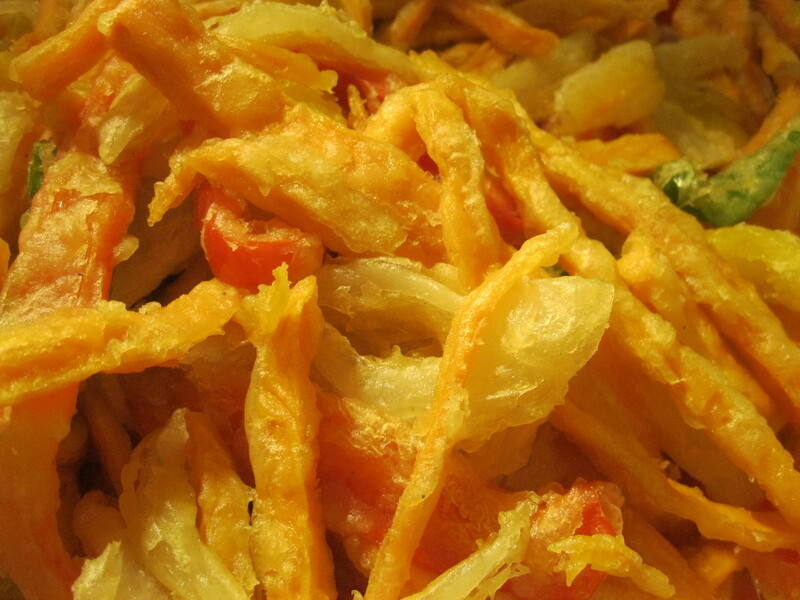 After mixing, refrigerate potatoes for about 3 hours, so they become firm. 3. After potatoes are firm, shape in round thick circles. (See photo.) 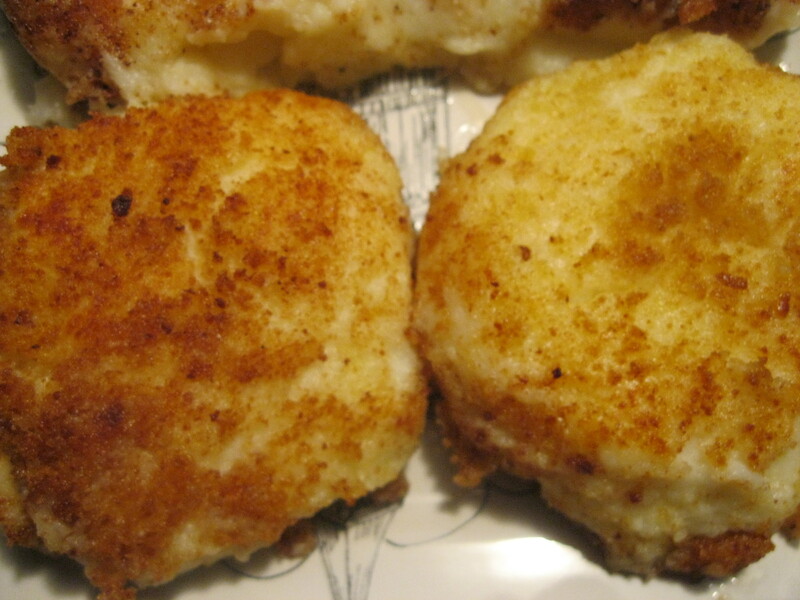 Dip potatoes into egg whites and then bread crumbs. 4. 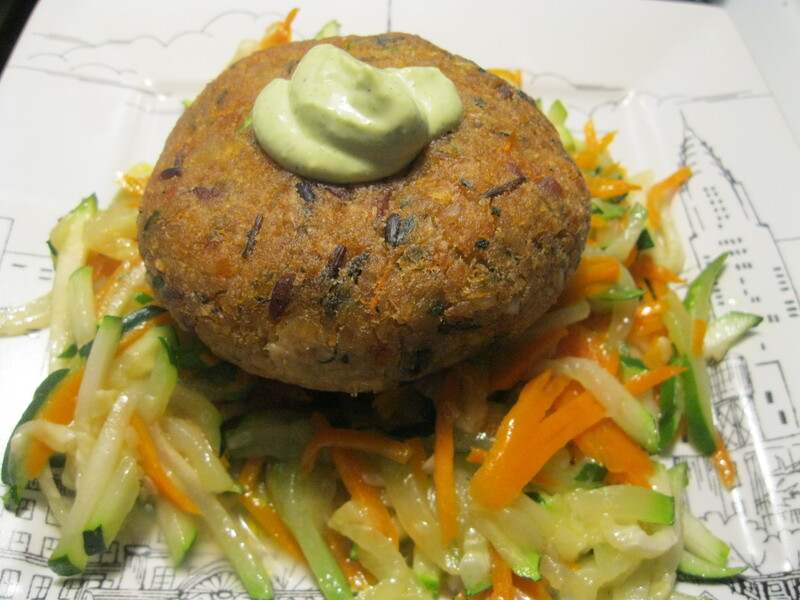 There are two ways to cook the croquettes. In a skillet add 3 tbs. of olive oil and cook croquettes 3 minutes on each side, until they are golden brown. If you don’t want to fry them, you can bake them in a 350 degree oven. Get a greased (just a little butter) cookie sheet and bake croquettes for about 20 minutes (10 minutes on each side).